Just days after CNN reported our national water infrastructure is desperately due for upgrading, renovation and repair, the Boston Globe reported on a two-year investigation by state auditor Joseph DeNucci, who critically evaluated the State’s dam systems. The CNN report revealed that on average 700 water main breaks happen every day in the U.S. That thanks to antiquated leaking pipes, the U.S. loses 7 billion gallons of water – a day. That a single faucet dripping once per second releases as much as 2,700 gallons of drinkable water a year. That the American Society of Civil Engineers has estimated the cost to replace or restore our nation’s crumbling water utility system will surpass the $250 billion mark during the next two decades. Our Boston personal injury lawyers and Massachusetts workers’ compensation attorneys know that lost water does more than drain our clean drinking water supply. It costs in property damage and work productivity. And, at worst, it threatens public health when a water systems becomes contaminated and becomes a worker and public safety issue when systems rupture or fail. 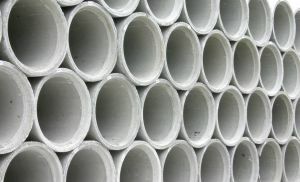 What DeNucci’s report found in Massachusetts reflects what the American Water Works Association sees as a growing water infrastructure problem flowing across the nation. Our antiquate, inefficient, worn out water and sewer line systems are failing and desperately in need of innovative (and costly) upgrading to meet current law and public health safety directives. The problem, of course, is that the current economic reality has most state budgets bone dry when it comes to funding massive, or minimal, infrastructure upgrade projects. So who then is responsible when a water main fails and a Massachusetts worker is injured or killed; a home destroyed? The Bureau of Labor Statistics reports that in 2009 there were 75 utility system construction workers killed due to a job site accident. This number includes oil and gas line, power and communication workers with water and sewer line handlers. Water system workers alone claimed nearly 38 percent of all utility worker fatalities nationwide. Within Massachusetts, BLS reports that 17 workers in the construction industry died on the job in 2009. The Massachusetts personal injury attorneys at the Law Offices of Jeffrey S. Glassman, LLC, recognize that construction companies, land developers and governmental agencies have a joined responsibility to maintain a safe and secure environment for employees, temporary workers and the public. If you or someone you love has been injured or killed due to a negligently managed Boston-area job site, contact our office and talk with an experienced attorney. To schedule a free initial consultation, contact us online or call our offices at 1-877-617-5333.